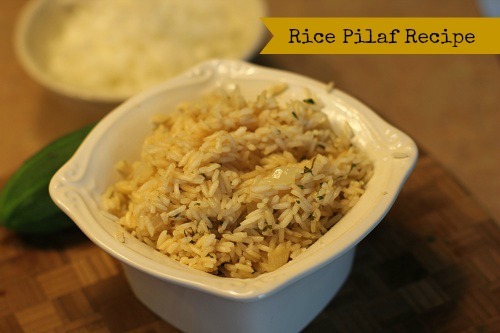 This Rice Pilaf recipe is easy to make with ingredients many of us already have in our pantries! I love this recipe even more because I buy all of the ingredients for this recipe at Aldi, which helps me save even more! Melt butter in a medium saucepan over medium heat. 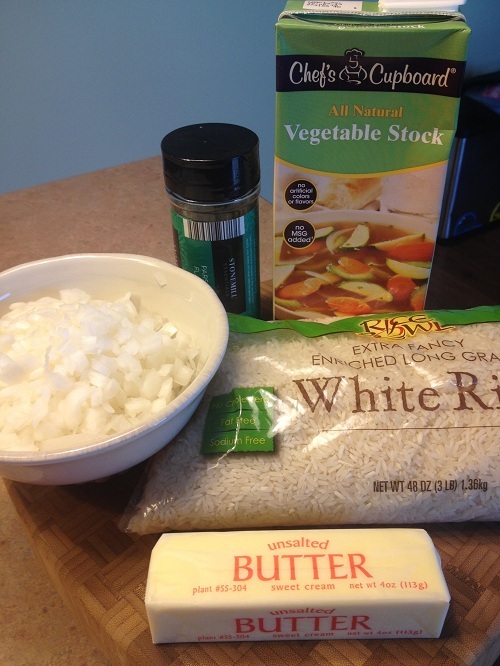 Add garlic and onion and cook until softened. Add rice and cook, stirring occasionally, until the kernels crackle. Then add broth, water, and salt. Stir to combine. Reduce heat to love and cover. Simmer until rice is tender. Fluff with fork and stir in the parsley.